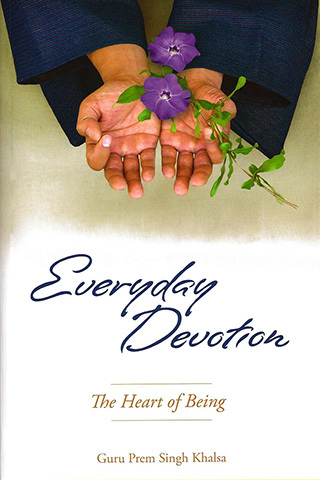 In his popular book Everyday Devotion, Guru Prem Singh shows how the act of learning to live from the heart is the beginning of a transformative journey toward a lifetime of devotion. He also reveals how devotion has its own geometry, symmetry and balance. How we bend and bow, turn and twist, during our kriyas, gives form to our devotion. Our bodies will become our living prayer - quintessentially devotion in motion. Guru Prem guides you from the simplest breath exercises to some of the most advanced asanas in our practice. In the walk of life, a spiritual person makes the journey from the head to the heart. From the ego to the soul, from thinking to deep listening, from outside to inside. Everyday Devotion is the story of one man's magnificent journey. A gymnast, somatic therapist, author and Kundalini Yoga posture specialist, Guru Prem tells the story of the body and the spirit, the mind and the heart, through his daily acts of surrender and devotion. This daily practice allows him to not only flourish as a man, a husband, and a father, but also as a peaceful warrior, a yogi and a Sikh.